Changed the front page to one of Truman being sworn in in the Cabinet Room, with Bess and Margaret by his side. Houston Chronicle is reporting that Jenna and Henry will marry at the Crawford Ranch and not at the White House itself. The date is set for May 10, so plans must be well under way. The Time White House blog has a nice photo of the Rose Garden getting a snow shower, complete with one of Barney’s stray balls. 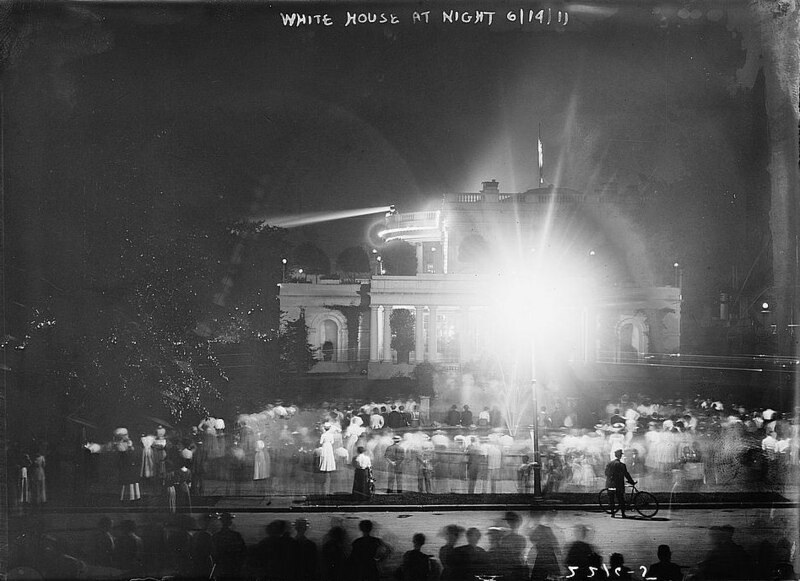 Becky sent along this photo from oldpicture.com (the source of some good WH photos in the past) with the caption “White House at night, 6/11”. I’m not sure if the bright glare is from fireworks or just from a streetlamp due to the long exposure or what. 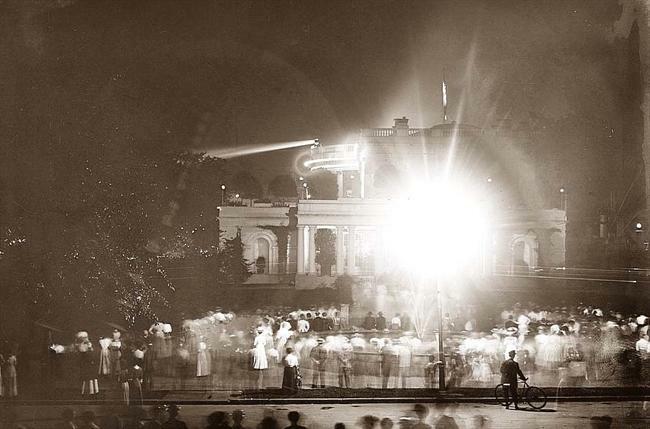 UPDATE: Robert Martin sent a better image that he found in the LOC which includes the full date: 6/14/11, prepping for the Tafts’ silver wedding anniversary party on June 19, 1911, which we know was lit up with search lights. Two score electricians are now at work in the White House grounds, as thousands of electric lights will be placed among the trees and festooned across the lawns and terraces. The White House itself will be outlined completely by electric lights. No cornice, angle, or gable will be overlooked. On the west lawn of the White house an electric flag will wave. This will be a wonderful sight, the red, white, and blue colors flashing into the night.